Wow, if it isn't one thing, it is another. 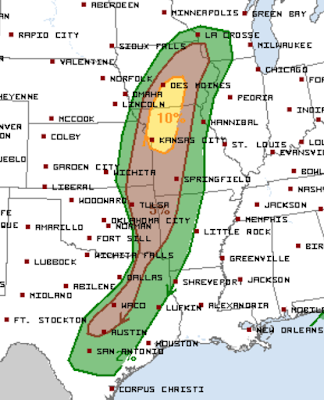 The tornado threat has been taken to an "enhanced" level basically along I-35 from Kansas City to Des Moines. 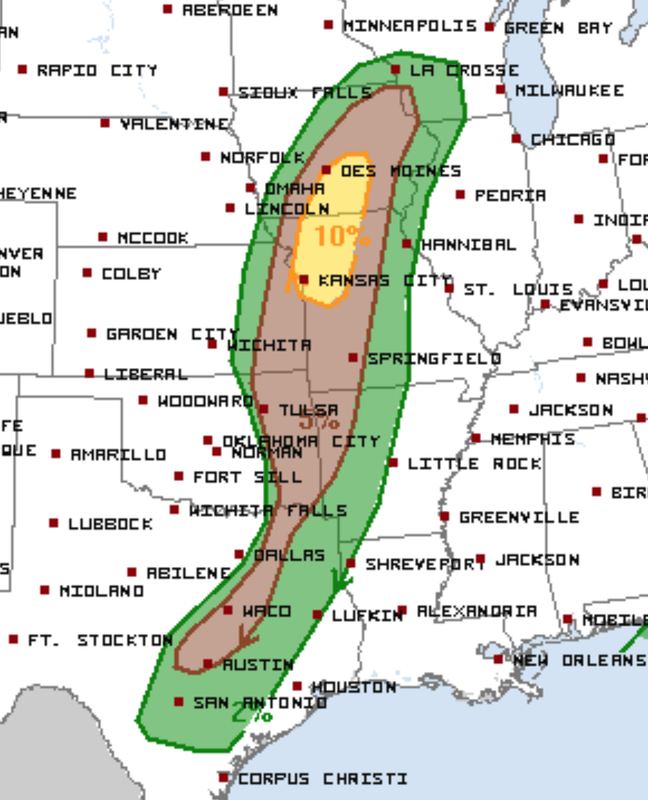 As always, the 5% is the significant threshold to be concerned about tornadoes. Keep an extra close eye in the 10% (yellow) area.